(James Clarke Co., Cambridge 2015). What was the cause or occasion that prompted you to write The One and the Three? I was participating in a well-attended liturgy in a major country. Many bishops, priests, a huge congregation and the wonderful ritual, all created a sense of heaven on earth, but at the same time I had a strange and unwelcome impression. Instead of living the encounter between the Church, as the people of God, and God Himself, it was as if there were three orders, or even 'worlds', in a descending hierarchy: God, the clergy, and the laity. And the most formidable barrier was the one which separated the laity from the clergy. The first among the bishops displayed his high status in every possible manner. "Is this the right way?," I asked myself. And this thought was re-enforced by the fact that the same kind of barrier was to be found outside the sacrament. Was this a game? Subsequently, looking through contemporary theological writings I realized that this 'game' was well on its way to becoming established as a transcendental truth, a reflection of a heavenly structure, of God Himself. I came to understand that the key was a certain interpretation of the Trinity. That was the reason that I decided to explore patristic Trinitarian thought, and to juxtapose a modern school of theological thought (presumed to be patristic) with patristic theology and anthropology. This also led me to the understanding that monasticism is the best expression of patristic Trinitarian theology and anthropology. 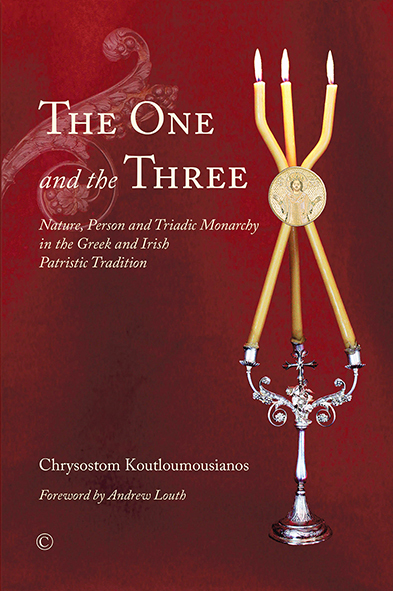 The book explores parallels between Byzantine and early Irish monastic traditions. How and when did you first come across Irish spirituality and began to become aware of certain remarkable similarities with much patristic theological thought? I had the privilege of studying English literature in which a 'Celtic' element is present to a greater or lesser degree throughout. Then, when I came across the remnants of the early Irish Christian tradition, both texts and monuments, I had the feeling of being at home, of sharing the same insights. I think that every Orthodox monastic would have the same feeling, the sense of a 'thin' place. I had explored these parallels between Celtic and Byzantine monastic theology in an earlier work, available in Greek, and that was a goldmine for my recent research. What were the main Irish theological texts that revealed these similarities to you? The whole body of early Irish writing reveals a spiritual kinship with the Orthodox east: the lives of the saints, hymnography, the martyrologies, their ascetic writings. They all point to a world where spontaneity, immediacy and a sense of mystery are dominant elements. They blend a quest for balance and moderation with a fervent zeal and uncompromising spirit. And their theology seems close to the Greek Fathers on issues like the doctrine of grace, original sin, trinitarian perceptions and the interpretation of theophanies. What in your view is the patristic consensus and why is it important for Orthodox theologians and the Church always to seek to be in conformity with it? When we speak about patristic 'consensus' we do not mean the Fathers' common theological articulations – for differences are to be found in them. Rather, we are referring to their common vision of God. This is why conformity with them is imperative. Orthodoxy, in its essence, is the living tradition of theoptia, that is, contemplation of God, which is neither a metaphysical idea nor a mere psychological experience. 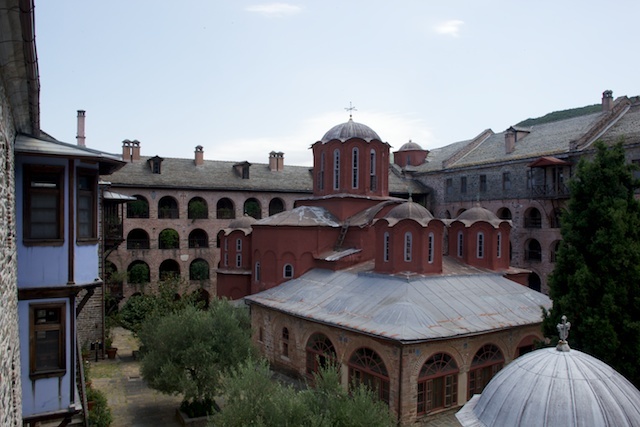 Is the Patristic theological consensus supportive or opposed to the currently popular idea of ‘contextual theology’? I don't think that the dialectical scheme 'either–or' is fitting here. Contextual theology is what the Fathers did in their own times. Indeed, this is what John the Evangelist does when he identifies Christ with the Greek term Logos. But at the same time the Fathers were very careful not to blur and sacrifice the revealed truth in a cauldron of blended ideas and images that would represent different meanings in different cultures. Why is it so important to be theologically precise about the meanings of the concepts of ‘nature’ and ‘person’? Because these terms pertain to the mystery of the human being, and also pertain to God, in ways that are radically different and yet also similar. Of course, we don't need to scrutinize the everyday usage of terms, unless we detect a distortion that affects human existence and society. How do our understandings of ‘nature’ and ‘person’ affect, positively or negatively, our understanding of the doctrine of the Trinity? Our initial mistake is that we apply categories suitable for describing created beings to the uncreated which brings about in distorted images of the Trinity. Furthermore, our modern understandings of 'nature' and 'person' make it easy to slip into error. We have forgotten the patristic teaching that person is nature with properties. Personhood is detached from nature. The philosophical elevation of the person to a transcendental realm and the suspicion we have with regard to nature affect our perception of the Trinity. They have led Orthodox theologians to see the Godhead as being the result of a personal cause rather than existing through Its very nature. They have discovered an overwhelming and dictating person, the Father, who stands above and prior to His divine nature, prescribes the being and otherness of the other Persons and is the cause of His very substance. But God is God by nature, and the divine nature is the "richness" in which the Persons are beheld. For the early Fathers personhood, otherness, equality and oneness, unity and diversity, are safeguarded in the common nature or substance. If the latter is ignored or degraded, everything loses its essential content. Are there theological or anthropological consequences of a wrong understanding of the relationship of nature and person, and what, in your view, are some of the consequences? Every wrong understanding has consequences in our lives. The connection of nature with necessity – a connection advocated by Arianism as well as modern philosophy – and the identification of nature with the fallen state of creation prompted a long dialectical struggle between 'nature' and 'person', and, ultimately, the elevation of the person not simply as a supreme value but as an ontological category. Created nature is seen as the source of sin and corruption. Love and will are attributed to the person above and against nature, and if we take will and love as personal properties, we foster self-centred wills and arrogant opinions. At the same time, accepting person as an ultimate ontological category involves both submission and structure. Consider the idea (promulgated in some present day theological circles) that personhood is your very being, and this very being is not a part of your nature but is a gift granted by the Other, a human Other, whose 'personal' love offers you your identity. Indeed, there cannot be a more subtle and devious subversion of the sense of connectedness, mutuality, freedom, and even democracy. Perhaps the most challenging part of this understanding is its application in ecclesiology. By giving so much emphasis to the role of a hierarchical ‘first’, the person who supposedly stands in the place of the Father, we create totalitarian models of Church and society in which the institution—here primacy—becomes the intermediary that connects man with God. The book has been characterized as "a courteous but multi-faceted critique" of John Zizioulas's position. Metropolitan John has been the most passionate proponent of this personalistic position. His Trinitarian personalism has led to what one might call ‘episcopomonism' and a new appreciation of the idea of primacy. John Zizioulas is neither the sole nor the first theologian to espouse a personalist understanding of the Trinity. The reason that my study focuses on his work is that he is credited with bringing the Greek patristic tradition into contemporary discourse on personhood. Having said that, I insist on being 'courteous' and gentle in an age of vehement debates, heated reactions, and aggressive manners. Why do you think the ‘monastic theological witness’ is important for understanding the true relationship of nature and person? The core of monastic theological witness is theoptia, the contemplation of God or, to put it in another way, participation in His uncreated grace. This is a state that requires ascetic effort from those who seek it. It aims for purity of heart, that is, the alignment of our personal will, which stems from self-love, with our 'natural' will, which seeks after God and the Good. Through ascetic effort in God's grace the human individual is united with the whole of humanity. At the same time, monasticism bears witness to the personal character of spiritual gifts, and stands as testament to each one's personal dignity and each one's direct relationship with God. Beautiful sound is produced by different notes. In monastic life person and nature are not seen as opposed to one another. Nature means equality, dignity, and also the potential of union with God, since God has assumed human nature. On the other hand, humanity is not intelligible except through particular persons, and every monk, as a person, is invited to achieve this same connection with all humanity. In striving for simplicity in a sacred enfolding of all division into a God-like unity the monastic brings these two 'worlds' together. This is not 'spirituality' for the elite, but the very heart of Christianity.